For thousands of years, various cultures around the world have relied on the healing power of crystals. 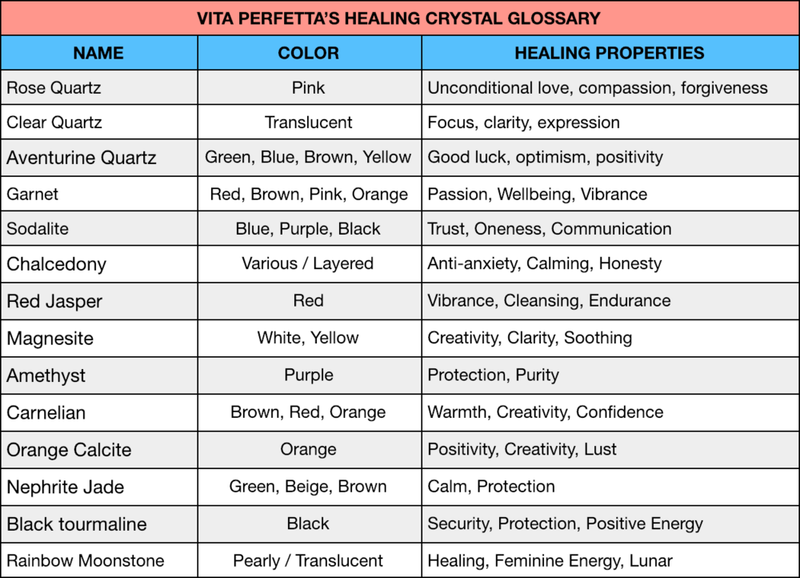 The methods of application have evolved over time, and in our modern day, we think the best way to drink in the curative powers of crystals is to literally drink it in: with Vita Perfetta’s Crystal Water Bottles! Our Crystal Water Bottles are beautifully shaped glass bottles, with a compartment at the bottom for crystalline infusion. Crystals and gemstones are thoughtfully coupled together to create a healing elixir. Work with our experts to select the best set of crystals to fit your needs. Choose from our house blends, or create your own magical mix! Heavily featuring rose quartz, Cupid’s Arrow is the perfect blend for a romantic soul looking to strengthen the love in their life, or spread their harmonious vibes to the world. We all get caught up in our lives. Drink in Oneness to slow down and discover harmony between your soul, mind, and body. The perfect source of hydration, energy, and detoxification during your workout. Known for attracting the good and detracting bad, this blend brings about increased levels of joy and optimism in one’s life. At some time or another, everyone could use a protector; a vigilante. This elixir is just that. It watches over you at all times, making sure you are okay. Harness the energy of the moon, as well as the strong, calming, and intuitive feminine energy that comes along with it.